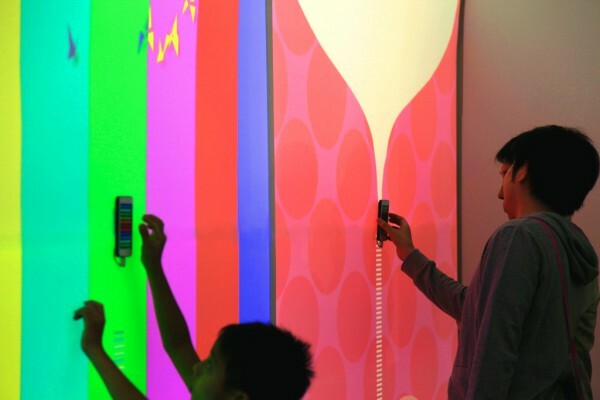 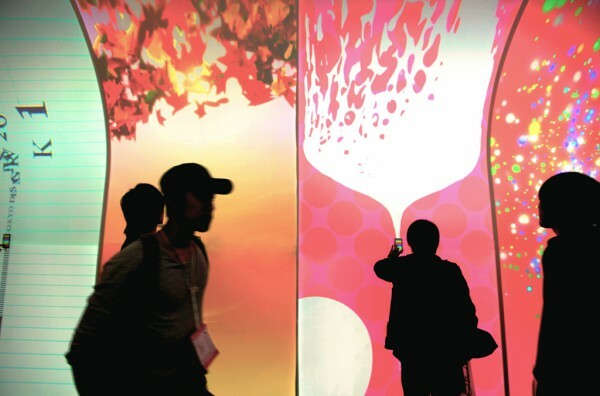 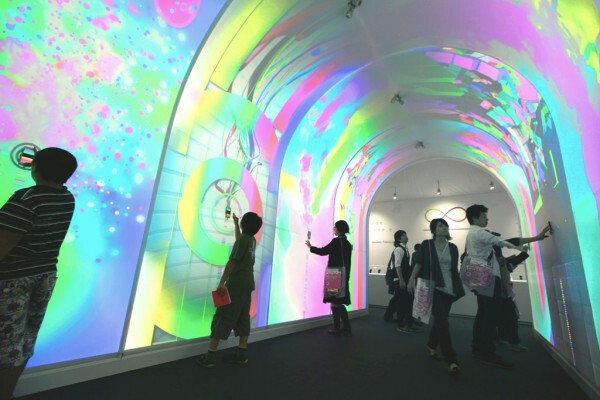 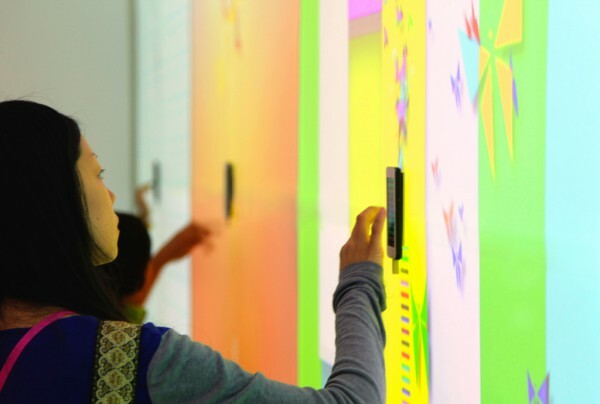 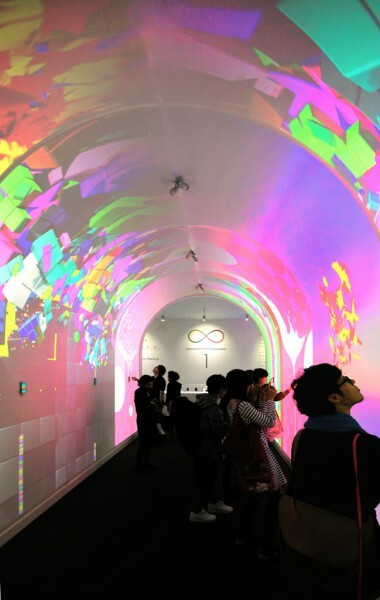 This is an installation designed for docomo to showcase ‘docomo Palette UI’ , a user interface at TOKYO DESIGNERS WEEK 2011. 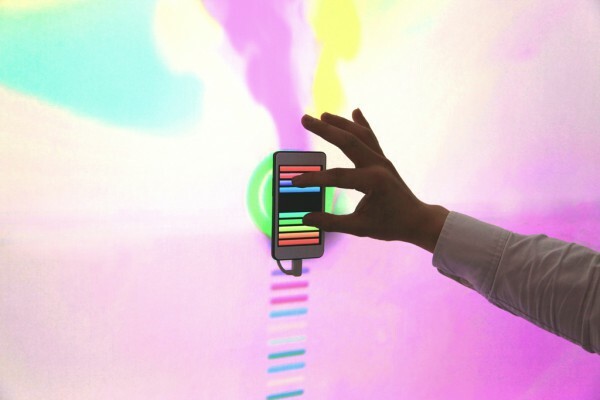 ‘docomo Palette UI’ consists of a user-friendly ‘colour bar’, and we focused on demonstrating how phone applications can be sorted and grouped in a smooth and colourful way. 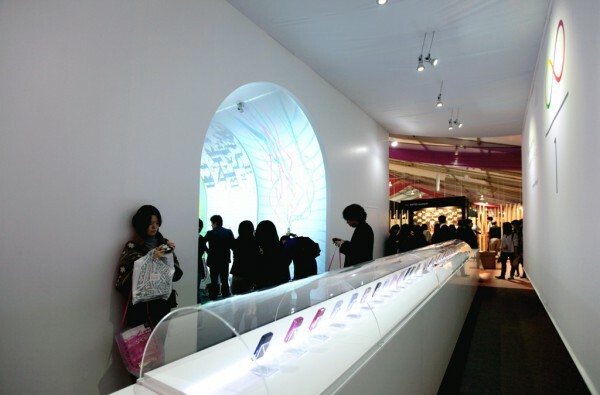 We aimed to induce the exhibition space with the changing images from the ‘Pinch in/out’ application of ‘docomo Palette UI’. 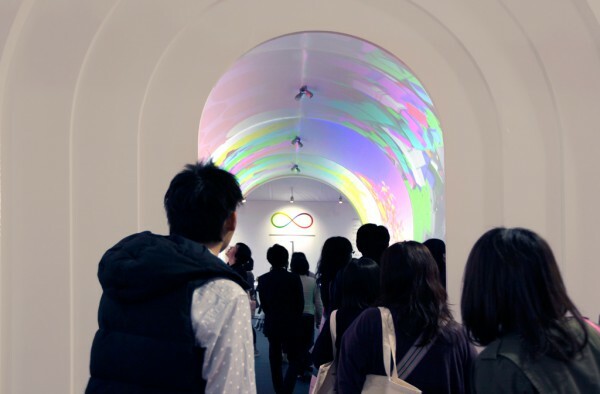 In order to communicate the dynamic interactions associated with the interface, we proposed a light tunnel with an arched ceiling in order for the featured rainbow of images to be projected on. 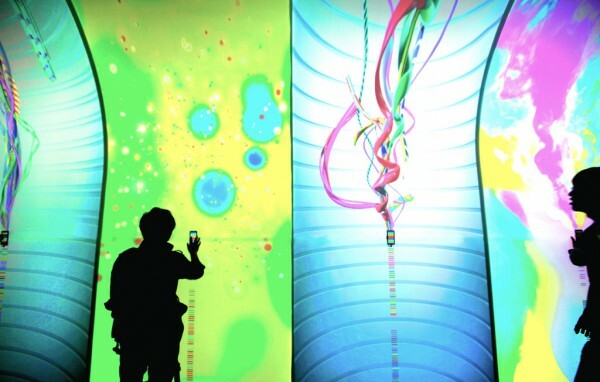 We coordinated with visual design studio WOW to create the contents of the images. 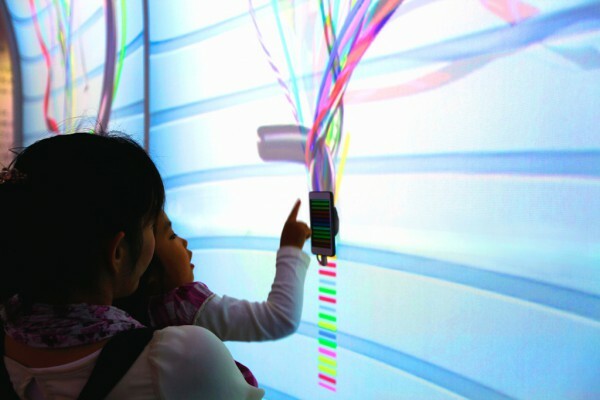 The large screen not only allows visitors controlling the terminal units to be able to experience the emotions which the images generate, it also becomes enjoyable for people looking at the installation.